WARNING: This is a long, treacherous post full of Serpents, Dragons, and about a million links. Continue at your own risk. I’d been working on a gift for a friend lately and she finally got it in the mail, so I can post about it without ruining the surprise! 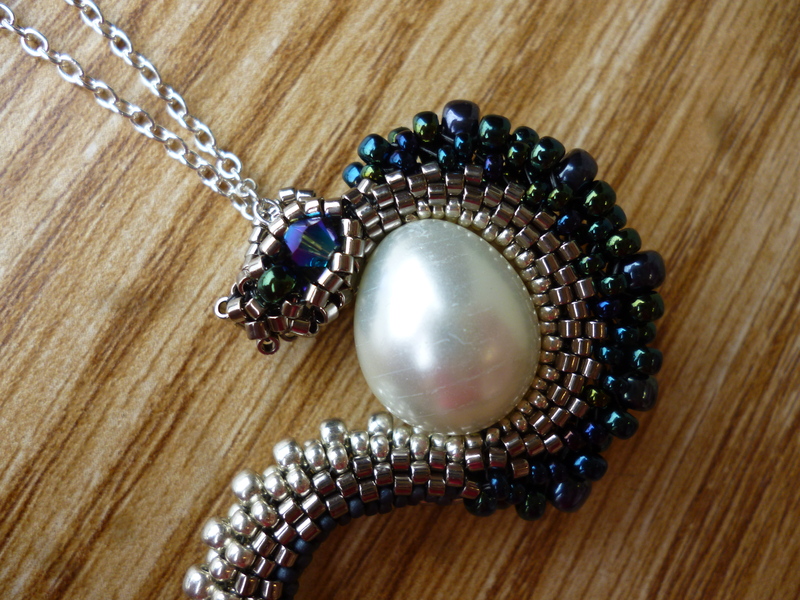 This is Kate’s baby Slytherin serpent in Ravenclaw colors, to represent her mixed Harry Potter affiliations. I’m just glad she’s not a Hufflepuff, like me. 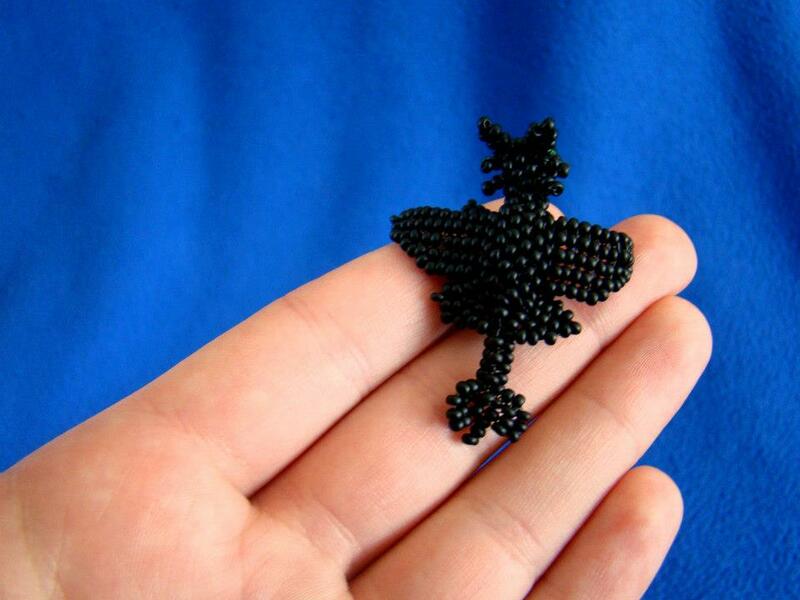 Can you imagine trying to bead a badger? 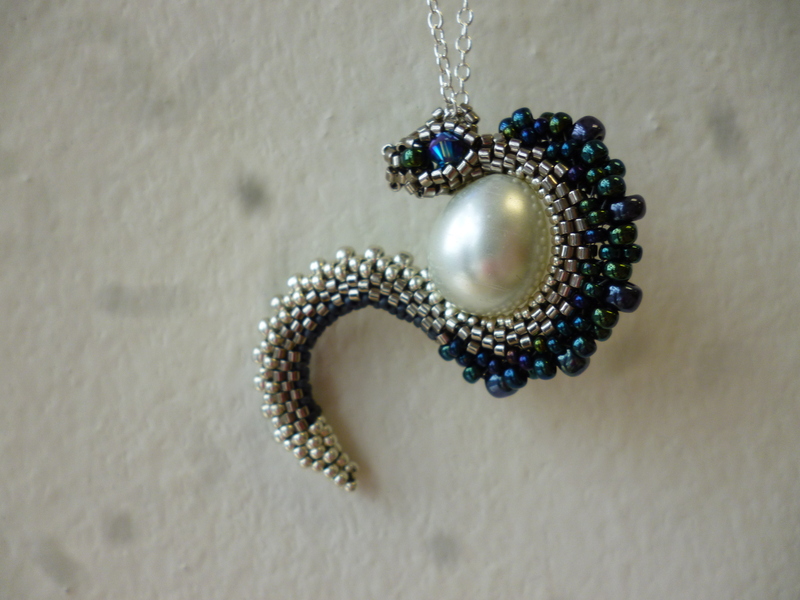 Kate doesn’t wear much jewelry, which made making her a gift very difficult, since I’m a bit of a one-trick pony. She did, however, just get a brand new car that she adores (and has named Vera), so this little guy was made to hang from her rear view mirror. This little serpent is my version of Rrkra’s S-Dragon Tutorial, and by “version” I mean simply that I left off the spiked tail and head decorations to turn her dragon into a snake. She has two tutorials available for this design. This is the original tutorial that I learned from and then this one is more photo-oriented for those folks who are more visual. 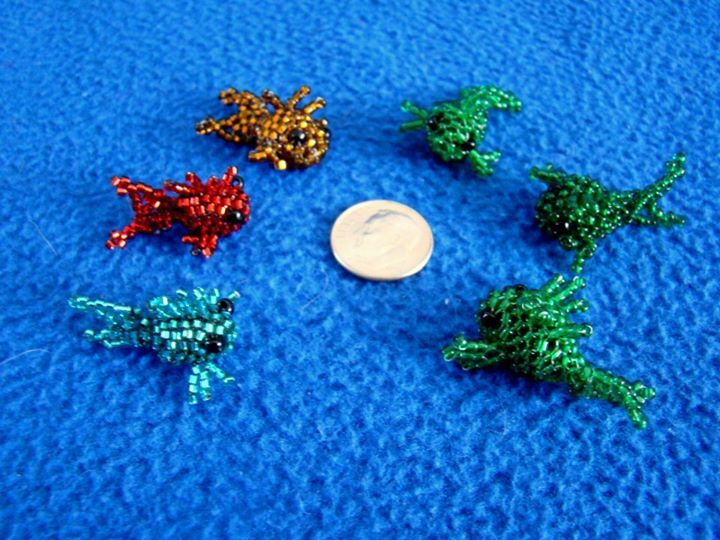 She also has way more tutorials available through her Deviant Art account, including one for these darling fishies that I made awhile back. 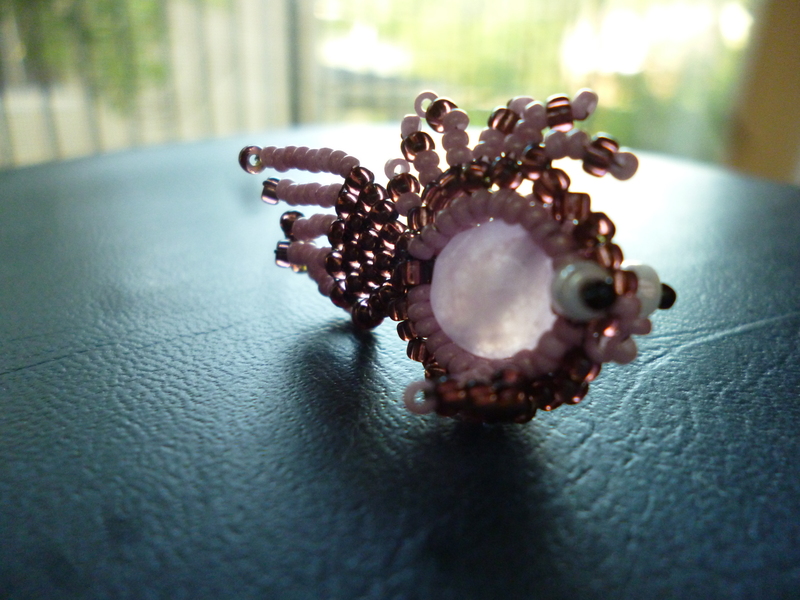 This fish tutorial can be found here. 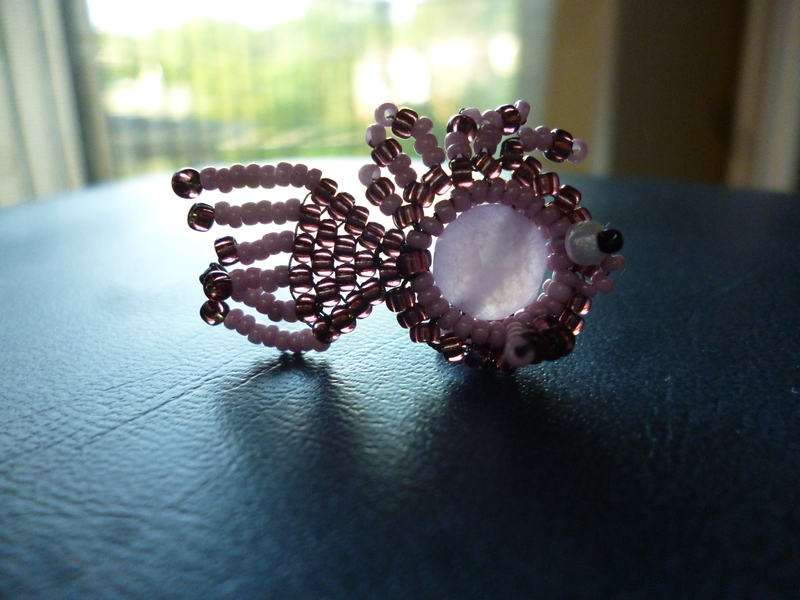 She has other fish tutorials, as well as instructions of how to make components, like wings, wings, more wings, and this feather. 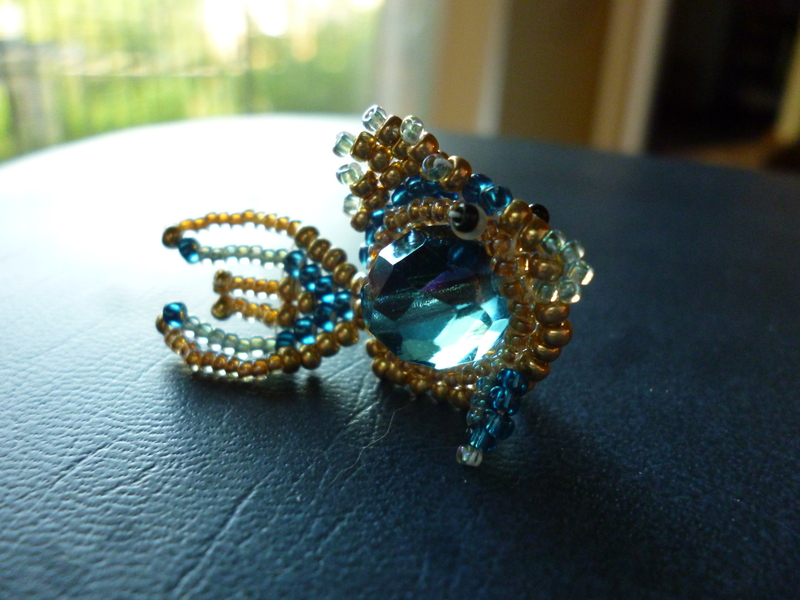 My dear friend Jenni decided to take up beading a few years ago (in addition to her amazing knitting) and then whipped up these babies in a heart beat. 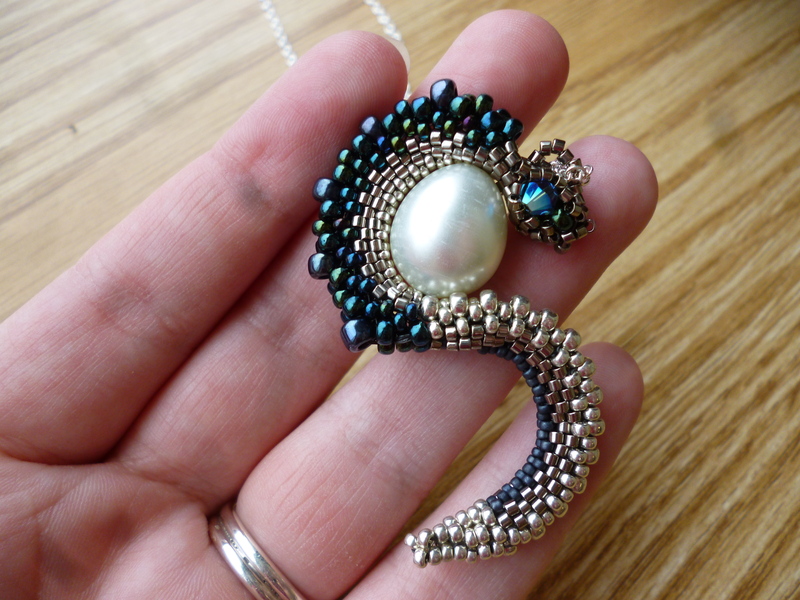 The tiny fish tutorial is here and the blue dragon is Jenni’s combination of the S-Dragon tutorial and one of the wing tutorials. 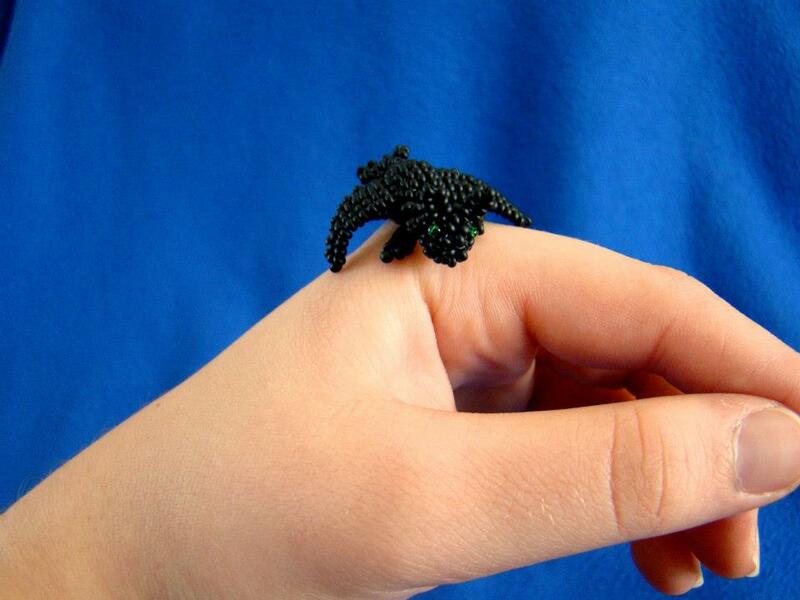 The little black one (modeled after Toothless from How to Train your Dragon!) is from this tutorial here. 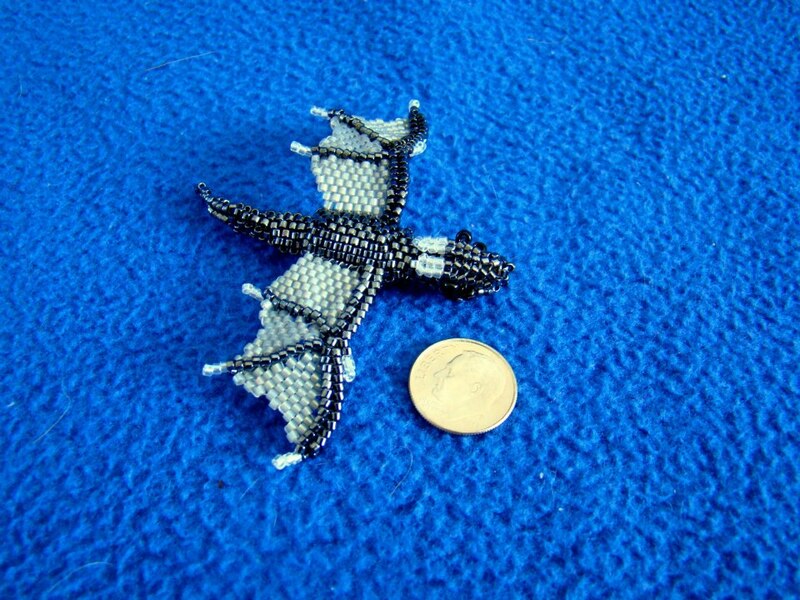 Jenni’s beadwork is amazing, but you’ve also gotta check out her knitted mythical creatures. Dragons everywhere! Check out Jenni’s blog here – you won’t regret it! 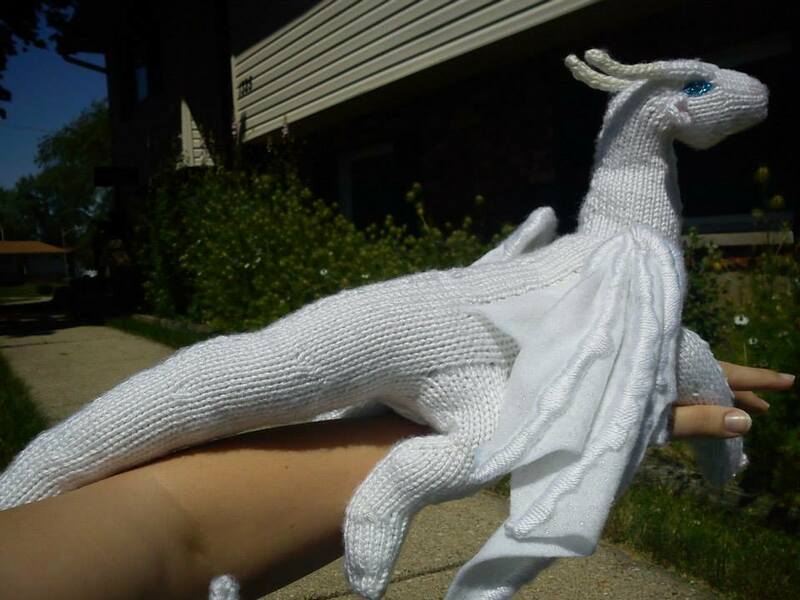 There are dragons and unicorns and all sorts of beautiful, poseable, knitting masterpieces. The lady is mad, I tell ye. I mean, look at this beauty! Anyway, that’s enough shameless plugging for one blog post, but I’m sure you guys were getting sick of my stuff. Seriously though, check out Rrkra’s tutorials and Jenni’s work as well. There are some pretty amazing things out there. But, of course, be careful not to get too close to one of these dragons’ craft stashes, or you may get toasted! 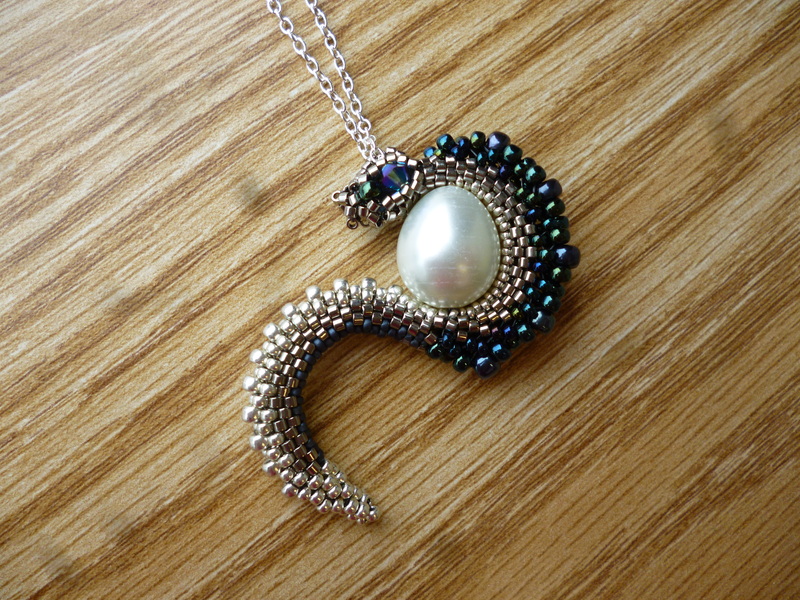 This entry was posted in Beading Techniques and Experiments, Storytime and tagged beading, beadweaving, beadwork, crafts, diy, dragons, Fish, knitting, Lady Temeraire, links, more dragons, recommendations, Serpents, Star Dragon. Bookmark the permalink.